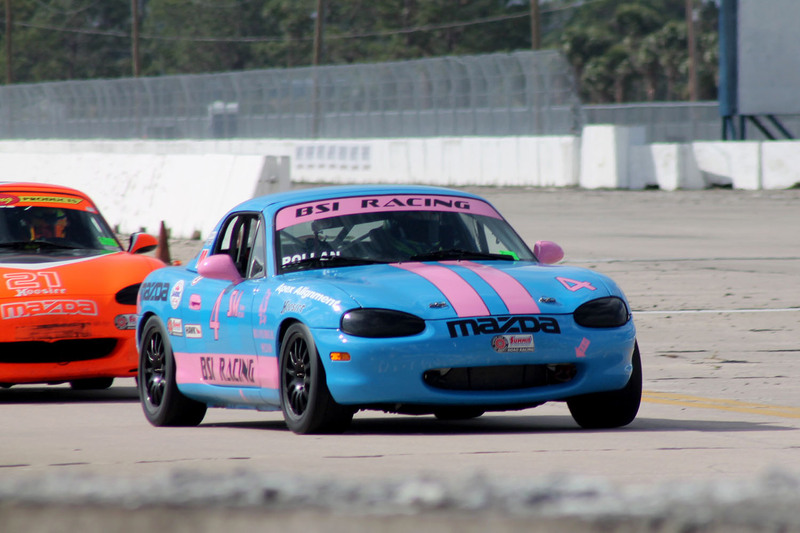 This past weekend Sebring International Raceway played host to the 2nd race of the 2018 SCCA season and the first race of the 2018 Hoosier Super Tour event. 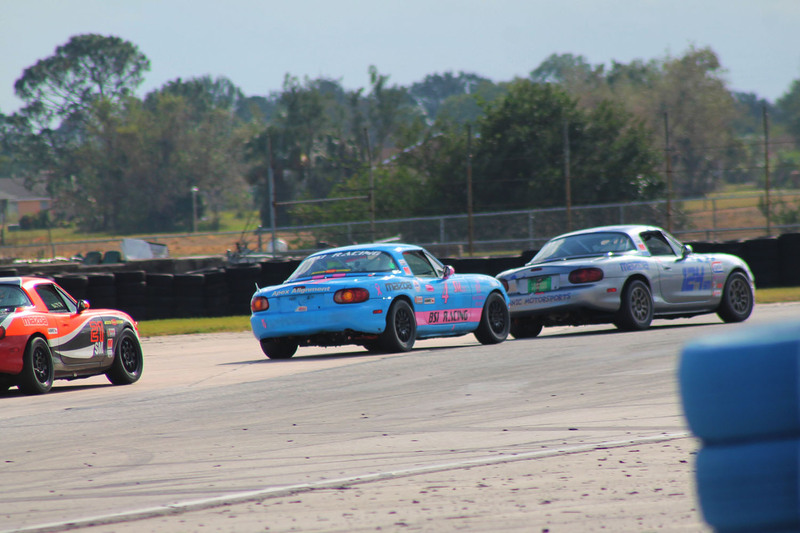 More than 60 Spec Miata drivers signed up for the event, and apart from a few absentees, most of the fast guys in the country were there to do battle. Coming off his first win of the season at Homestead the week before, Rossini driver Michael Carter carried forward his form by setting the fastest qualifier in the hot humid Q1, ahead of Jim Drago and Preston Pardus. In the much cooler Q2, Pardus and Clements stepped it up with times that were 3 seconds faster than Q1, running high 2:34’s. Carter finished in 3rd with Pardus 4th, setting the first two rows in the grid. In Race 1, at the start, Carter made contact with Clements sending him off and dropping Carter back. Carter was able to regain his composure and work his way back to the front to battle with Pardus and Chris Haldeman. Once again, as it so often happens in Spec Miata, it came down to the last corner with drivers going into Turn 17 two wide. Carter managed to hold on to the win less than a tenth ahead of Pardus with Haldeman 3rd. 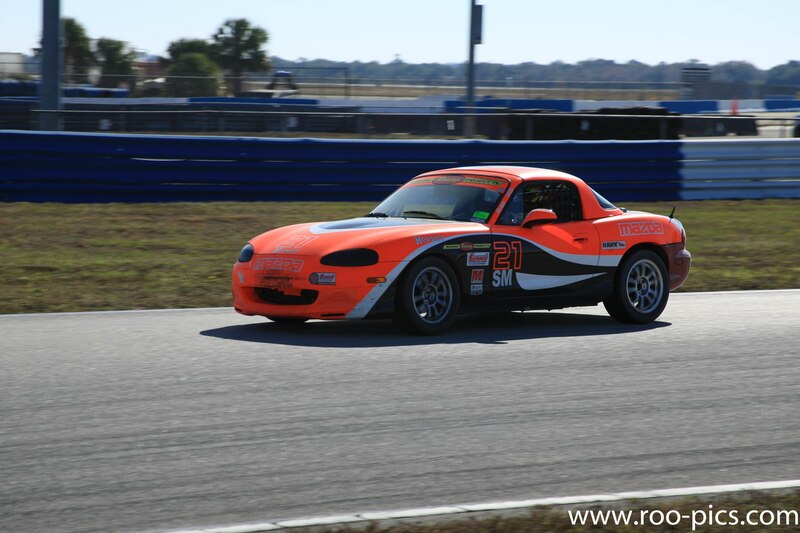 Marc Cefalo drove a superb race in his NA 1.8 to finish 4th with Todd Buras in 5th. Rossini teammates Selin Rollan finished 8th and Alex Acosta finished in the top 10 for the 2nd time in less than a week! 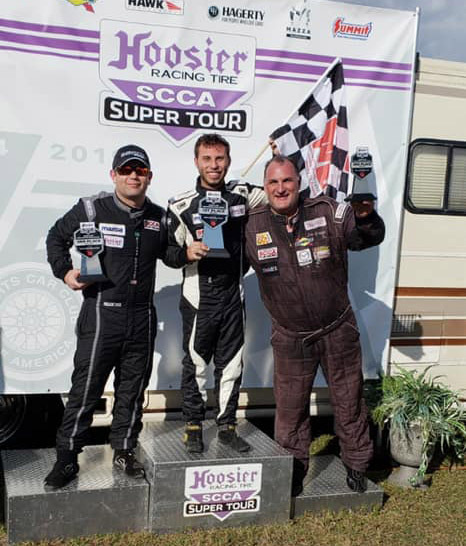 Rossini drivers Jason Connole finished 17th, Spencer Patterson 19th, and Ricardo Juncos 20th. 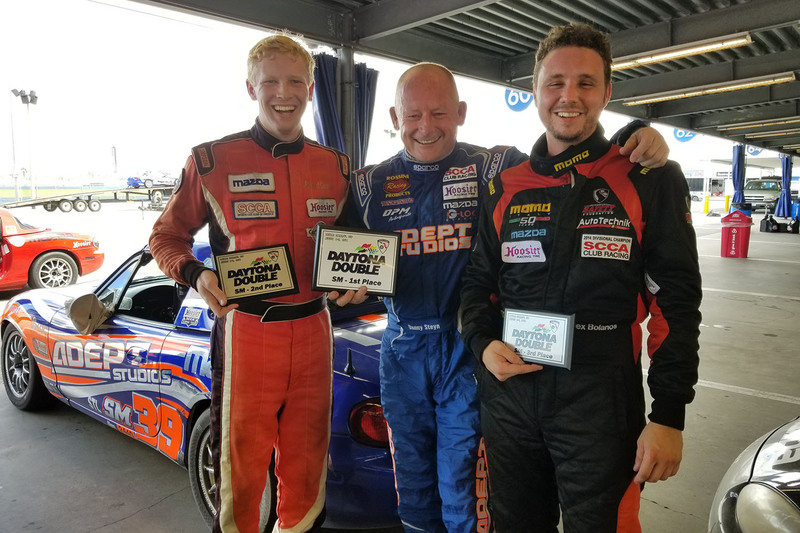 Race 2 was another great Spec Miata battle, with Pardus and Carter getting out to an early lead and again went into Turn 17 side by side, this time with Carter on the outside, but Pardus was able to hang on for the win and his 2nd of the 2018 season just ahead of Michael Carter. 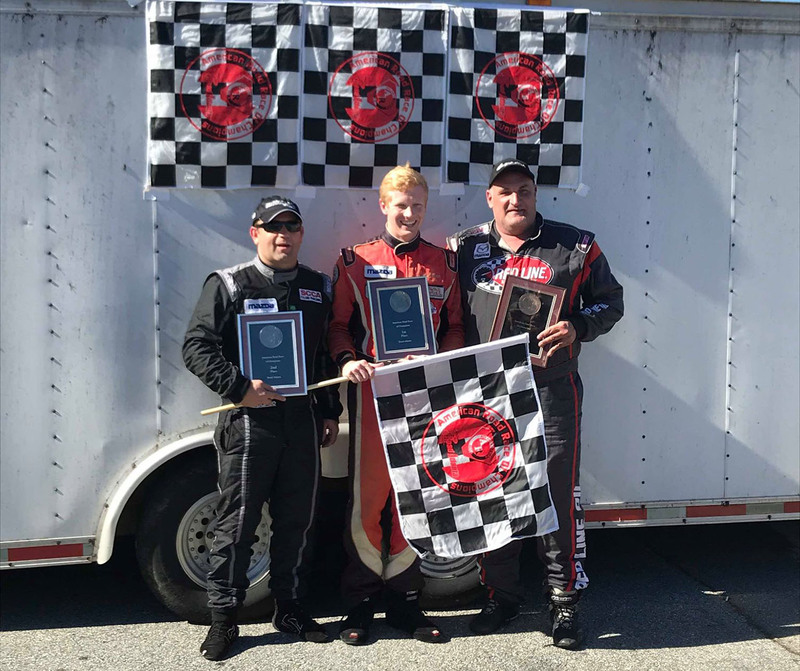 Todd Buras finished 3rd for the podium ahead of Blake Clements and Dillon MacHavern in his first Spec Miata event in a long time. 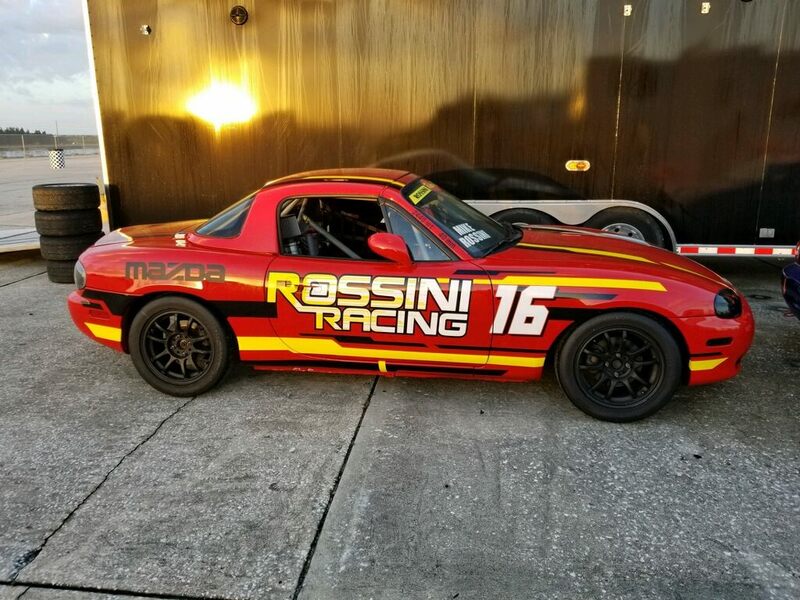 Rossini drivers Selin Rollan finished 6th, Alex Acosta 13th, Jason Connole, 16th, Spencer Patterson 19th and Ricardo Juncos 20th. 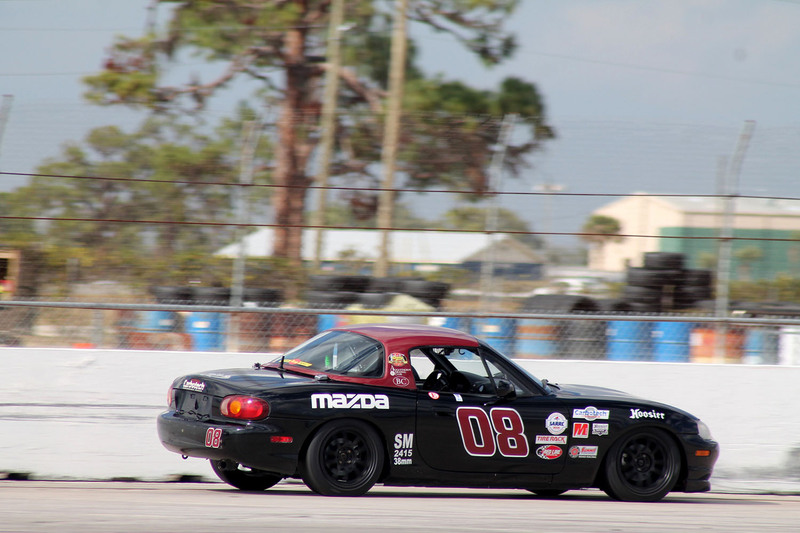 Carter and Pardus are now tied at the top of the Spec Miata points battle, proving that the young guns have arrived.